Complex neurological disorders, such as autism, schizophrenia, and bipolar disorder (BD) are the likely result of the influence of both common and rare susceptibility genes. While common variation has been widely studied over the past several years, rare variant elucidation has only recently become possible through the use next-generation sequencing techniques. Now, research from scientists at the University of Iowa (UI) Carver College of Medicine, Johns Hopkins School of Medicine, Cold Spring Harbor Laboratory, and other institutions suggests that there may be genetic susceptibility across major psychiatric disorders—this being the first study to suggest a genetic overlap between bipolar disorder and autism. Research into BDs is critical due to its high prevalence—affecting between 1% and 3% of the population—and debilitating nature. Although many patients are helped by treatments such as lithium, about one-third of people affected by BD are intractable to current therapies. Although it's long been known that BD is highly heritable, identifying specific genetic variants that contribute to the illness has proven difficult. Genomic studies in the past decade have helped uncover several so-called common variations, but none of these variations alone has shown a large effect. However, massively parallel sequencing technology has now provided investigators an opportunity to find rare variations that might individually have a large effect. For this study, the scientists devised a two-tiered strategy, combining a case–control approach with family-based exome sequencing to maximize their chances of identifying rare variants that contribute to BD. Their thinking was that if a genetic variant is found more often in the group of individuals who have the disease compared to a control group of people without the condition, then the gene variation might be associated with increasing susceptibility to the disease. Moreover, comparing exome sequences of related individuals affected and unaffected by BD can distinguish variants that “travel with” or segregate with the disease. This approach has long been used to identify gene variants or mutations that are passed from parents to children that cause disease. The researchers were able to identify, from the family study, 84 rare variants (in 82 genes) that segregated with BD and that were also predicted to be damaging to the proteins encoded by those genes. Subsequently, the research team tested the likelihood that these rare variations might be involved in causing BD by looking for them in three large case–control datasets that included genome sequences from a total of 3541 individuals with BD and 4774 control patients. Interestingly, despite the large size of the combined datasets, the approach was not powerful enough to identify any of the individual rare variants as definitively associated with BD. However, 19 genes stood out as being overrepresented in BD cases compared to controls. “The results were not strong enough for us to say 'we have pinpointed the genetic culprits.' But it was strong enough for us to remain interested in these genes as potential contributors to bipolar disorder,” noted Dr. Potash. Yet, when the team considered the 19 genes as a group, they surmised that several were also members of groups of genes that had been implicated in autism and schizophrenia. 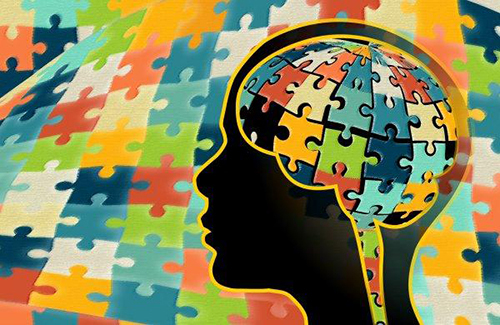 “It turned out that the schizophrenia and the autism genes were all more represented among our 82 genes than you would expect by chance,” Dr. Potash remarked. “And when we looked at our whittled down group of 19 genes, the autism genes continued to be unexpectedly prominent among them. “With studies like this we are finally, after decades of effort, making real progress in nailing down groups of genes and variations in them that play a role in causing bipolar disorder,” Dr. Potash added. “The mechanistic insights we gain from identifying associated genes we hope will point us in the direction of developing new treatments to make a difference for the many people affected by this illness.